The new CR 10B skiplift waste compactor has been specifically designed to limit the frequency of damage caused to portable machines during the tipping process. 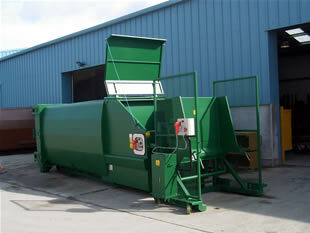 The only mechanical parts housed in the machine are a blade and twin hydraulic rams. 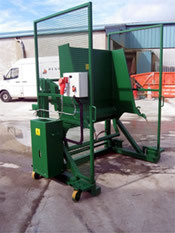 All of the electrical and hydraulic components which make the machine operational are conveniently housed inside a portable bin-lift module which is simply removed from the machine and wheeled out of the way prior to the compactor being emptied. Another upside to this system is that should the machine develop a mechanical fault, then the bin-lift module can simply be swapped for another whilst the necessary repairs are being carried out. Also, because neither module can operate independently of the other, then the machine has obvious safety advantages as well. Presently, this is the only portable machine of its type available within the UK and it can only be rented direct from Compactor Rentals Ltd.